Procedures en route vary according to the proposed route, the traffic environment, and the ATC facilities controlling the flight. Some IFR flights are under radar surveillance and controlled from departure to arrival and others rely entirely on pilot navigation. Where ATC has no jurisdiction, it does not issue an IFR clearance. It has no control over the flight, nor does the pilot have any assurance of separation from other traffic. Loss of VOR, tactical air navigation (TACAN) or automatic direction finder (ADF) receiver capability. Complete or partial loss of instrument landing system (ILS) receiver capability. Impairment of air-to-ground communications capability. The pilot-in-command shall include within the report (1) aircraft identification, (2) equipment affected, (3) degree to which the pilot to operate under IFR within the ATC system is impaired, and (4) nature and extent of assistance desired from ATC. In addition to required position reports, the following reports should be made to ATC without a specific request. When leaving any assigned holding fix or point NOTE: The reports in (f) and (g) may be omitted by pilots of aircraft involved in instrument training at military terminal area facilities when radar service is being provided. Any loss in controlled airspace of VOR, TACAN, ADF, low frequency navigation receiver capability, global positioning system (GPS) anomalies while using installed IFR certified GPS/Global Navigation Satellite Systems (GNSS) receivers, complete or partial loss of ILS receiver capability, or impairment of air/ground communications capability. Reports should include aircraft identification, equipment affected, degree to which the capability to operate under IFR in the ATC system is impaired, and the nature and extent of assistance desired from ATC. Any information relating to the safety of flight. When leaving the final approach fix inbound on final approach (nonprecision approach), or when leaving the outer marker or fix used in lieu of the outer marker inbound on final approach (precision approach). A corrected estimate at any time it becomes apparent that an estimate as previously submitted is in error in excess of 3 minutes. Any pilot who encounters weather conditions that have not been forecast, or hazardous conditions which have been forecast, is expected to forward a report of such weather to ATC. ATC arrival procedures and flight deck workload are affected by weather conditions, traffic density, aircraft equipment, and radar availability. When landing at an airport with approach control services and where two or more IAPs are published, information on the type of approach to expect is provided in advance of arrival or vectors are provided to a visual approach. This information is broadcast either on automated terminal information service (ATIS) or by a controller. It is not furnished when the visibility is 3 miles or more and the ceiling is at or above the highest initial approach altitude established for any low altitude IAP for the airport. 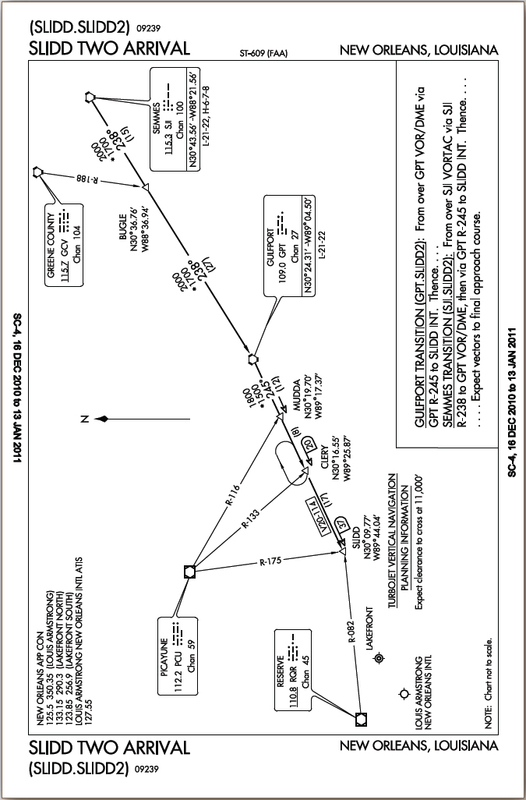 The purpose of this information is to help the pilot plan arrival actions; however, it is not an ATC clearance or commitment and is subject to change. Fluctuating weather, shifting winds, blocked runway, etc., are conditions that may result in changes to the approach information previously received. It is important for a pilot to advise ATC immediately if he or she is unable to execute the approach or prefers another type of approach. If the destination is an airport without an operating control tower and has automated weather data with broadcast capability, the pilot should monitor the automated surface observing system/automated weather observing system (ASOS/AWOS) frequency to ascertain the current weather for the airport. ATC should be advised that weather information has been received and what the pilot’s intentions are. When the approach to be executed has been determined, the pilot should plan for and request a descent to the appropriate altitude prior to the initial approach fix (IAF) or transition route depicted on the IAP. When flying the transition route, a pilot should maintain the last assigned altitude until ATC gives the instructions “cleared for the approach.” Lower altitudes can be requested to bring the transition route altitude closer to the required altitude at the initial approach fix. When ATC uses the phrase “at pilot’s discretion” in the altitude information of a clearance, the pilot has the option to start a descent at any rate and may level off temporarily at any intermediate altitude. However, once an altitude has been vacated, return to that altitude is not authorized without a clearance. When ATC has not used the term “at pilot’s discretion” nor imposed any descent restrictions, initiate descent promptly upon acknowledgment of the clearance. Descend at an optimum rate (consistent with the operating characteristics of the aircraft) to 1,000 feet above the assigned altitude. Then attempt to descend at a rate of between 500 and 1,500 fpm until the assigned altitude is reached. If at anytime a pilot is unable to maintain a descent rate of at least 500 fpm, advise ATC. Also advise ATC if it is necessary to level off at an intermediate altitude during descent. An exception to this is when leveling off at 10,000 feet mean sea level (MSL) on descent or 2,500 feet above airport elevation (prior to entering a Class B, Class C, or Class D surface area) when required for speed reduction. All STARs are contained in the Terminal Procedures Publication (TPP), along with the IAP charts for the destination airport. The AIM also describes STAR procedures. If the destination is a location for which STARs have been published, a pilot may be issued a clearance containing a STAR whenever ATC deems it appropriate. To accept the clearance, a pilot must possess at least the approved textual description. It is the pilot’s responsibility to either accept or refuse an issued STAR. If a STAR will not or cannot be used, advise ATC by placing “NO STAR” in the remarks section of the filed flight plan or by advising ATC. If a STAR is accepted in a clearance, compliance is mandatory. The basic ground components of an ILS are the localizer, glideslope, outer marker, middle marker, and inner marker (when installed). A compass locator or precision radar may be substituted for the outer or middle marker. Distance measuring equipment (DME), VOR, or nondirectional beacon (NDB) fixes authorized in the standard IAP or surveillance radar may be substituted for the outer marker. Determining aircraft position over a DME fix.